Discovering the olive oil cultivars through their countries of origin and uses in the kitchen. The term cultivar is a contraction of the English phrase “cultivated variety” and refers to the different varieties of olives grown, which are often associated with a precise geographical area. Oil has many cultivars, each with its own colour, flavour and yield, which together determine an equally broad range of final uses. Properties: Rustic plants that adapt easily, with a significant pollen activity. Productivity is high and fluctuating. Its oil capacity is average. Properties: A plant that adapts to various climatic and pedological conditions. Its productivity is average and fluctuating, its oil capacity is medium. The fruits are also used to produce dried black olives. Properties: A gentle variety with high and continuous productivity, also appreciated for its ability to adapt. 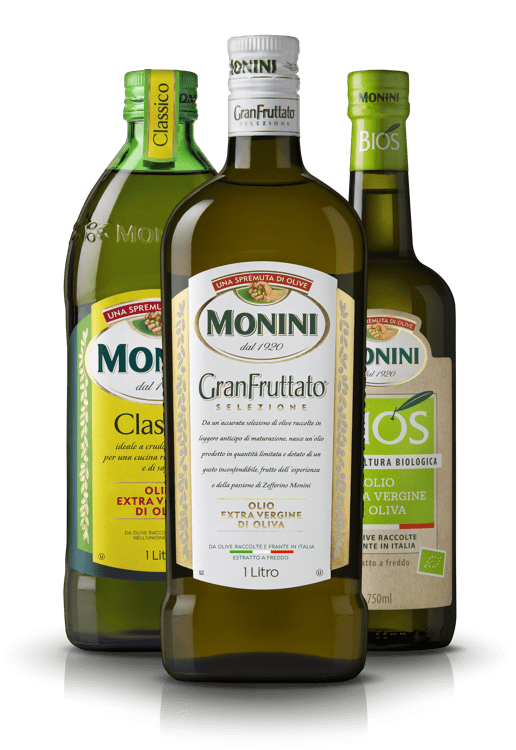 In Tuscany, this cultivar is renowned for the production of fruity, long-lasting oils. Properties: Vigorous plant that easily adapts to different olive-growing environments. It has high and continuous productivity, and its oil capacity is low. Properties: A rustic plant that grows best in the hills. Its productivity is high and continuous, and its oil capacity low. It has a distinctive fruity flavour, and contains squalene and polyphenols. The fruits are often grouped in bunches. A plant that adapts to various climatic and pedological conditions. Its productivity is average and fluctuating, its oil capacity is medium. The fruits are also used to produce dried black olives. Properties: A small, rustic plant that easily adapts to the different olive-growing environments of Central Italy. Its productivity is high and continuous, and its oil capacity is average. Properties: A big plant that solely embodies the olive production of the Imperia province. It adapts both to the hills and marine environments. Fruits, which ripen slowly, have a high oil capacity. Properties: A cultivar that finds its ideal growing environment in high hills, and is able to perform even in low-hydrated conditions. It has a high, fluctuating productivity. Biancolilla gives a low output of oil, which presents a distinctive light colour. Properties: A productive and adaptive cultivar, with a slow and scaled ripening process. Some years, the fruits can be used as black kitchen olives. Their oil capacity is high. Properties: An adaptive plant that can grow at altitudes up to 800 metres, with high and continuous productivity. Its oil capacity is average. Fruits ripen gradually and can be used as kitchen olives or to make oil. Properties: Vigorous rustic plant that grows quite slowly. It has high and continuous productivity, with low oil capacity. Oil extraction is difficult when the fruits are not completely ripe. Properties: A highly adaptive and cold-resistant plant, with high and continuous productivity. Depending on the year, fruits can be used to make pickled olives. Oil capacity is high, and the fruits are rich in polyphenols. Properties: A rustic plant, with high and continuous productivity. Fruits ripen early and can be picked mechanically because of their low resistance. Their oil capacity is average. Properties: Medium-sized plant that easily adapts to different environments. Its productivity is high and continuous. The firm consistency of the fruits makes them perfect pickled olives, although their oil is also appreciated. Properties: A rustic, fast-growing plant, highly sensitive to cold temperatures and marine breezes. Its productivity is average and fluctuating, its oil capacity is high. The oil extracted from this plant is very renowned, and a synonym for the agriculture of Bitonto. Properties: A rustic, big plant with high and fluctuating productivity. The fruits, which ripen early, show a low mechanical resistance and high oil capacity. Properties: A highly productive cultivar that adapts easily even to coastal environments. Its productivity is high and fluctuating, and its oil capacity is high. Properties: A plant that hardly adapts to environments different from its place of origin. Its productivity is high and fluctuating, with a low oil capacity. The fruits ripen early and are ideal both for oil production and the preparation of pickled green olives. Distribution: It’s the most important variety in Catalunya, where it covers 55.000 ha. It’s also found in Aragon and Andalusia. Apart from Spain, it grows in Argentina. Properties: A rustic plant with high resistance to cold and salt. It shows high and continuous productivity, and remarkable oil capacity. The oil extracted is excellent, due to its positive organoleptic properties, despite a low stability. Distribution: It’s the second-most widespread spanish cultivar. It currently covers 270.000 ha in the provinces of Ciudad Real, Toledo, Madrid, Badajoz and Cáceres. Properties: A variety with high rooting and adapting abilities even in dry or cold environments. It shows high oil capacity and produces a stable oil with excellent organoleptic properties. Due to the texture of the pulp, the fruits can be used for seasoning. Distribution: It’s the third-most widespread Spanish cultivar. It currently covers more than 200.000 ha in the provinces of Cordova, Malaga, Seville and Granada. Properties: A variety with high rooting ability, very resistant to calcareous soils, dry and cold climates. Its oil capacity is low, but the oil is renowned for its quality. It’s the most important variety in Spain. It currently covers more than 700.000 ha, especially in the regions of Jaén (97%), Cordova (38%) and Granada (40%). It acts as foundation for all the new plantations. Properties: A rustic plant that adapts easily to different climate and soil conditions, especially cold weather, but it’s sensitive to heat and calcareous grounds. It’s highly and continuously productive, with a large oil capacity. Although easy to cultivate and stable, the oil extracted is of average quality. Picual is very resistant to rancidity, with remarkable levels of oleic acid. Distribution: It’s one of the most important Spanish cultivars, despite not being the main variety in any region. It reaches 60.000 ha in the provinces of Cordova, Granada, Malaga and Jaén. Properties: A vigorous and rustic plant, highly resistant to cold weather and calcareous or humid soils. It’s not very stable, but shows excellent organoleptic properties, good oil capacity and a high linoleic acid content, which gives the oil a slight bitter taste. The most esteemed Picudo olives grow near the town of Baena. Distribution: Messenia, Laconia, Lamia. It covers up to 15-20% of the country’s olive-growing surface. Properties: A quite rustic plant with average rooting ability and oil capacity. The oil extracted is excellent. Distribution: Peloponnese, Zante, Crete, Samos. It covers around 50-60% of the Greek olive grove surface. 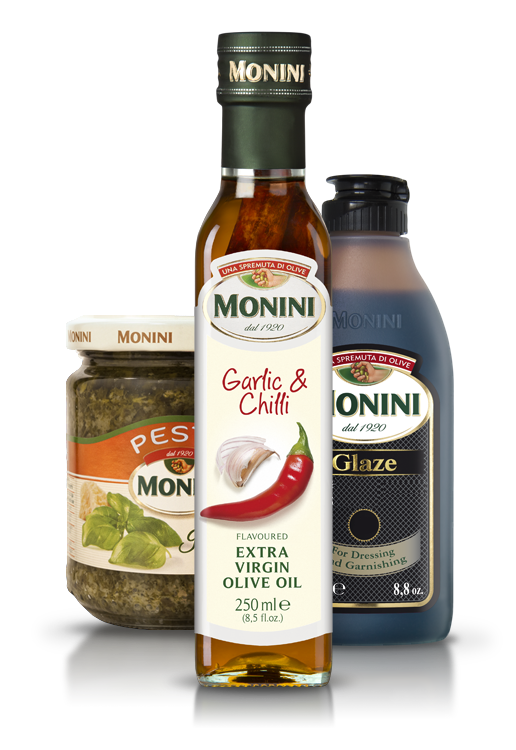 Properties: It’s the main oil-making cultivar in Greece. It has average rooting ability, but high productivity and oil capacity. The oleic acid content and the oil stability are also remarkable. 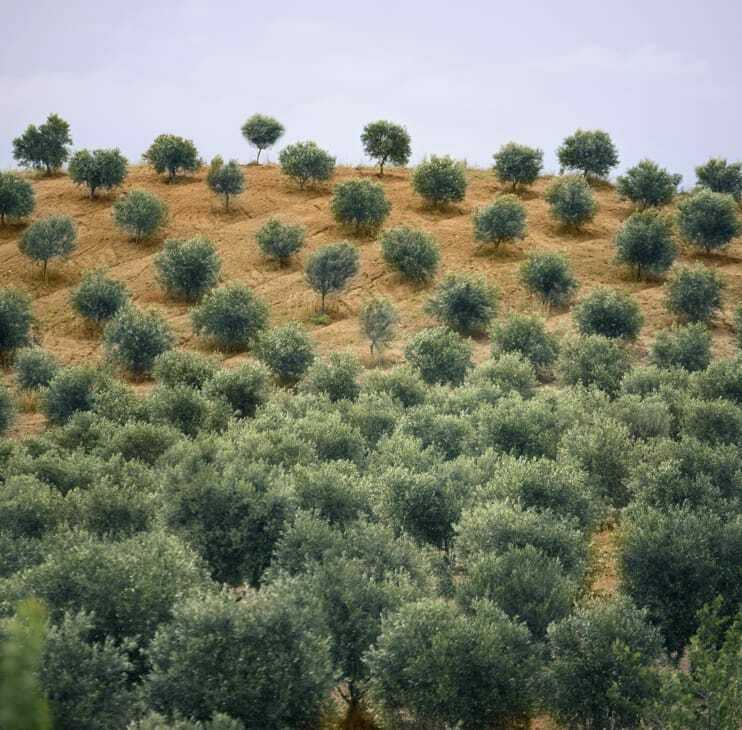 Distribution: It covers 15-20% of the country’s olive-growing surface. Its cultivation goes from Corfu to Attica, and current main harvest zones are Peloponnese and Crete. Properties: A rustic plant that grows at altitudes up to 1000 metres. It resists cold and dry climates. The productivity is average and fluctuating, with a high oil capacity. Properties: A rustic variety with average rooting ability. It resists cold and dry climates. The fruits, both green and black olives, are used for eating and for extracting good-quality oil. Distribution: Lesbos, Chios, Skyros. It covers 70% of Mytilene’s olive-growing surface. Properties: A rustic variety with average rooting ability. Quite resistant to cold and dry climates, with an average and fluctuating productivity. Fuits are used for oil extraction, with a medium oil capacity and an excellent quality of the product.